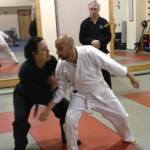 Our core self protection class is perfect for those new to the martial arts. 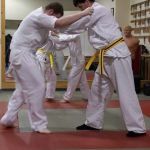 From the very first lesson, our students learn the fundamentals of proper footwork and balance, develop their endurance and flexibility, and they learn effective fighting techniques that they can use right away, regardless of their physical condition or any prior martial arts experience. Training at Discovery consists of learning practical and effective methods for overcoming any challenge. 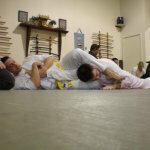 These techniques are based on an ancient system of warrior disciplines descended from nine historical Japanese lineages, and are modernized and adapted to meet the demands of today’s challenging environments. 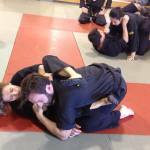 In this class, students can expect to learn more about awareness, basic footwork and movement (taijitsu), striking, common grappling and grabbing defenses, throws, and more. Becoming a student is simple: Simply visit our enrollment page to find out how you can start your trial membership with a free uniform! 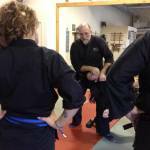 Our Advanced Self Protection class is a place where our intermediate level students learn to handle a greater variety of self defense challenges while learning and refining more advanced techniques and strategies. 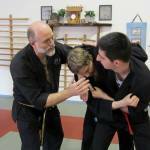 Students can expect to be practicing various throws, striking methods, groundfighting techniques, and weapon defenses. 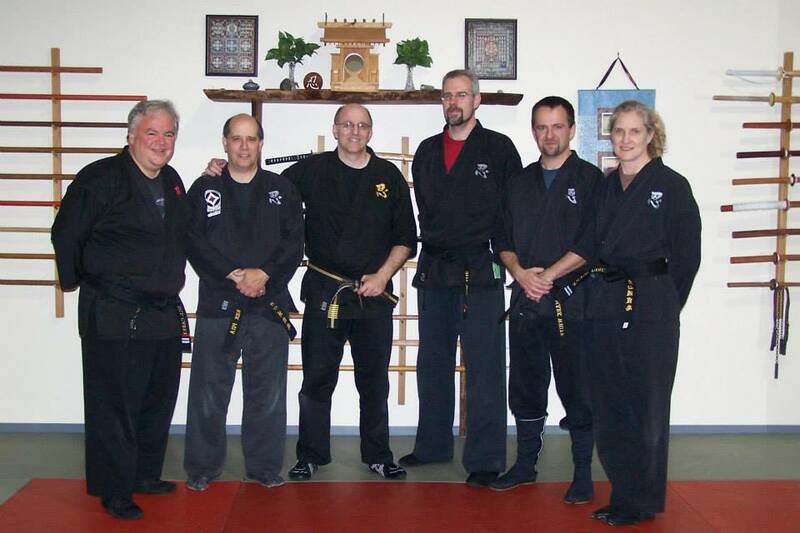 If a student is committed to earning their black belt in Hakken Budo Ninjitsu, this class will teach them the physical, mental, and emotional skills needed to achieve that milestone. This class is for students who have graduated through the core and advanced self protection classes. Once a student attains the rank of first degree black belt (shodan), they are eligible to take part in these classes taught by world renowned instructor and practitioner Hanshi John Poliquin. 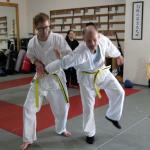 See his instructor page here. Here students will face many new challenges as they venture further into black belt ranks. This can include multiple attackers, advanced weapons use and throws, mind science, and fighting tactics. 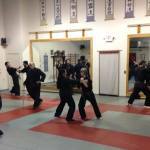 Students will also develop their knowledge and experience in the nine lineages of ninjitsu. 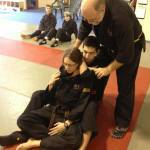 If you have ever wanted to achieve a black belt in martial arts, it’s never too late to start! We always say the most important belt is not the black belt, it’s the white belt! Start your journey into martial arts today by visiting our enrollment page.